The Foro Verde continues its activities with a school appointment, visiting the CEIP As Gándaras. 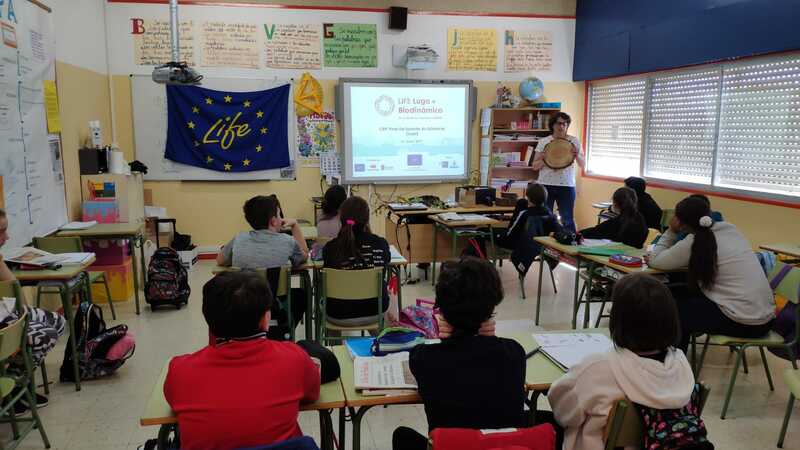 In the CEIP As Gándaras, the closest to where we are developing all the actions of our project, the 6th grade students have been able to know more in detail everything that is taking place. By the hand of the USC they have learned which are the kinds of native trees with which we are recovering the natural spaces, the diversity of the area and the importance of protecting this environment for the current population and for the future. The activities of the Foro Verde continue in the coming months and can be checked through our calendar or by subscribing to the newsletter.